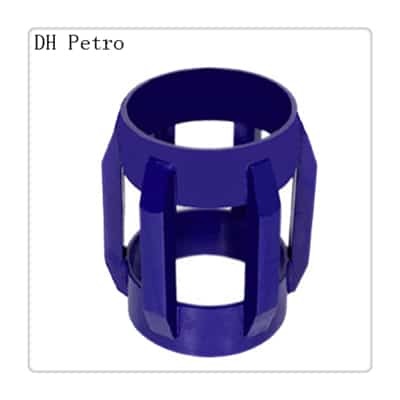 1.Welded Straight Cage Type Rigid Centralizers are designed for high deviated horizontal well where casing centralization is the main consideration. 3.Hydrogen coated Electrodes, which assured ultimate strength and uniformity in every weld. 4.Steel construction provides superior toughness over other materials. 5.Its Insured positive standoff, Maximum flow, Maximum well bore Stabilization, Maximum holding strength, decreased drag. 6.Centralizers are provided for direct installation on pipe by slipping on and with or without SetScrew for elimination of Stop collar. 7.They are shipped in assembled condition only. 8.All Centralizers are stove painted or coated with polyester powder. 9.They are available in all sizes ranging from 4-1/2” to 20” for any hole combination.